The Wood Design & Building Awards program is an annual competition recognizing excellence in wood architecture, awarding entries for creativity, innovation and aesthetic appeal for the use and application of wood. A panel of prominent architectural judges from Canada and the United States review entries submitted from around the world; this year’s winners include buildings in Canada, United States, Chile, Finland, France, Japan, the Netherlands and Spain. Cowbell Brewing Company is the recipient of the Sustainable Forestry Initiative (SFI) Sponsored Award which is given to a project that utilizes wood products certified to the SFI standard. The Cowbell Brewing building and property were intentionally designed to recognize the farming heritage in Huron County. This heritage includes architectural style, and also building materials. Historically, barns in Huron County were constructed of stone and timber frame, built to withstand the test of time. Approximately 650 Douglas Fir beams were sourced from a sustainably managed forest in British Columbia for the timber frame Cowbell structure. Various SFI-certified wood materials sourced from certified companies such as Eacom, Scierie Landrienne, White River Forest Products, Tolko Industries and West Fraser Mills. 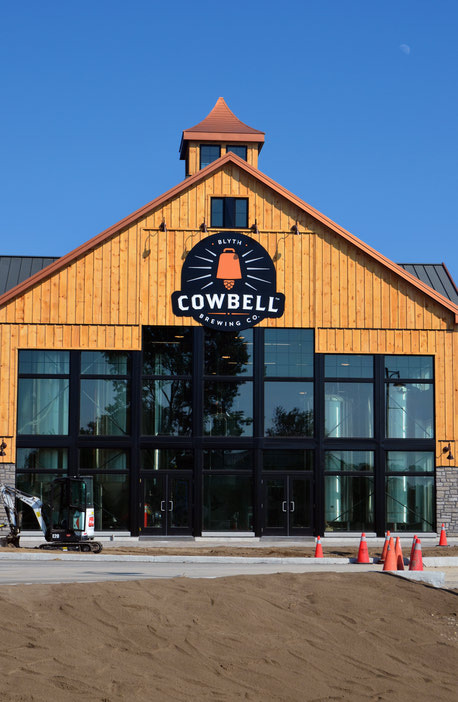 Whether through the building of the brewery, its design or operation, Cowbell is committed to establishing and maintaining highly sustainable practices. From modeling the building’s orientation on the property with Revit software, applying smart building enclosure systems, installing high efficiency equipment and LED lighting, to the rooftop cupolas equipped with remote control windows as an effective, traditional means of ventilation, the environmentally inert fiberglass and wood UV-filtering windows throughout, to the extensive use of naturally-insulating wood which effectively reduces the energy required for heating and cooling, Cowbell Brewing implemented a comprehensive approach to passive conservation and building design.